This is location central for finding information about building the KRMx01 CNC. What is the KRMx01 CNC? 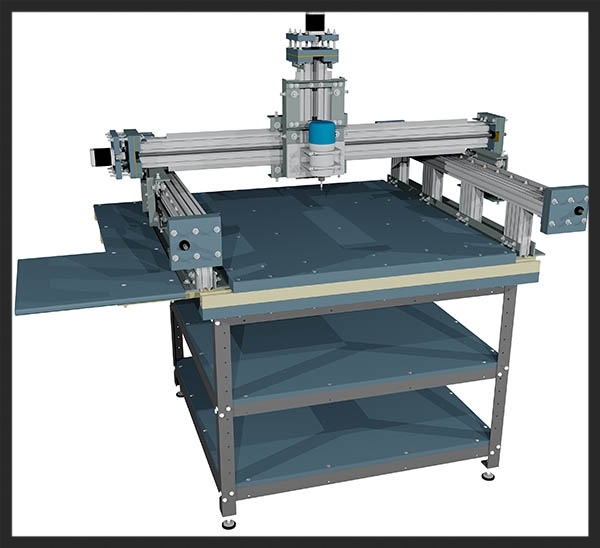 The KRMx01 is a CNC router you build yourself using basic tools. 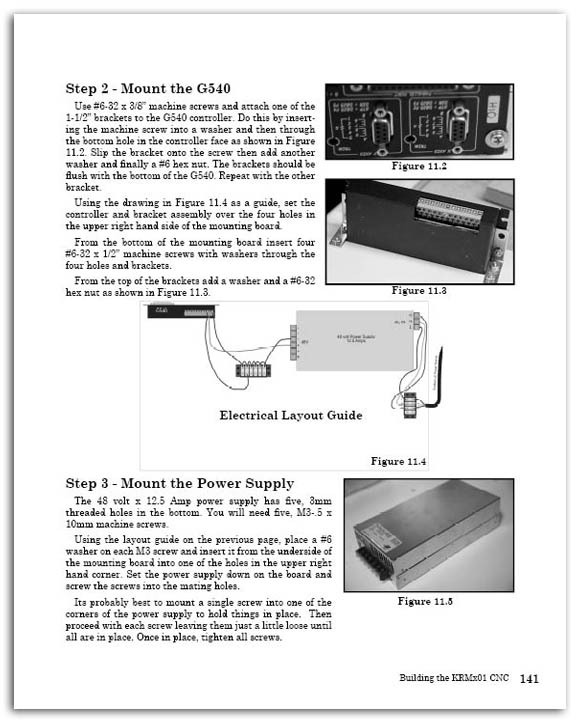 The instructions for building the KRMx01 are in the form of a book. This book consists of 202 pages grouped into 17 chapters. 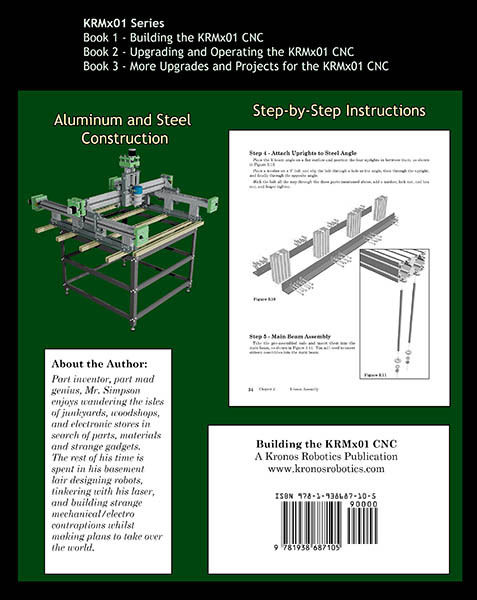 The book will take you step by step through the process of building the KRMx01 CNC. For more detail as to the actual contents of the book visit the "KRMx01 Book Content" page. Using K2CNC mounts, you can easily attache the following routers to your KRMx01 CNC. The KRMx01 utilizing a K2CNC mount can utilize the Kronos Robotics AirExchanger. The KRMx01 utilizes steel and aluminum construction. Only the motor mounts and table surfaces are made from engineered materials. The KRMx01 has a 43" x 32" x 6" cutting capacity. The design allows you to cut pieces longer then 43" by sliding them through the table. The overall footprint is 65" x 75" x 69". The estimated weight is about 600lbs. The KRMx01 will do rapids at about 350IPM without any tuning. After the breaking in the KRMx01 and doing some fine tuning you can get rapids as high as 500IPM. Your actual cutting speed will depend on the router and router bit used, material and type of cut. What about the cost to build the KRMx01 CNC? The estimated cost to build the KRMx01 CNC is less than $2500. This includes the controller software, router, and router mount. This does not include the cost of the PC, shipping charges, or taxes. As for time, it can take as little as a month or can be spread out over several months. The book is set up so that the chapters present the build in stages. And since the costs are tied to each chapter you can budget your time and funds. Here is a complete breakdown the time, costs, and tools needed for each chapter.